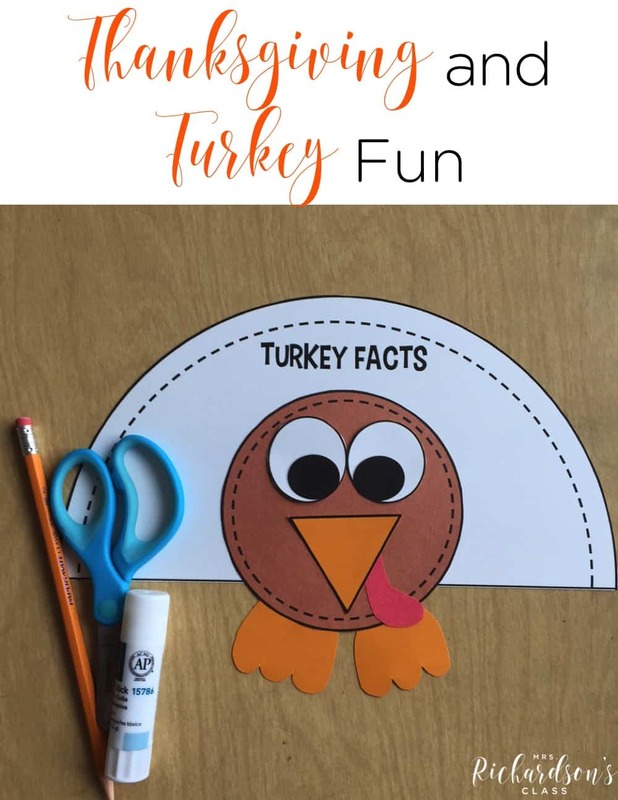 Fall is definitely here and that means it’s time for some turkey fun! 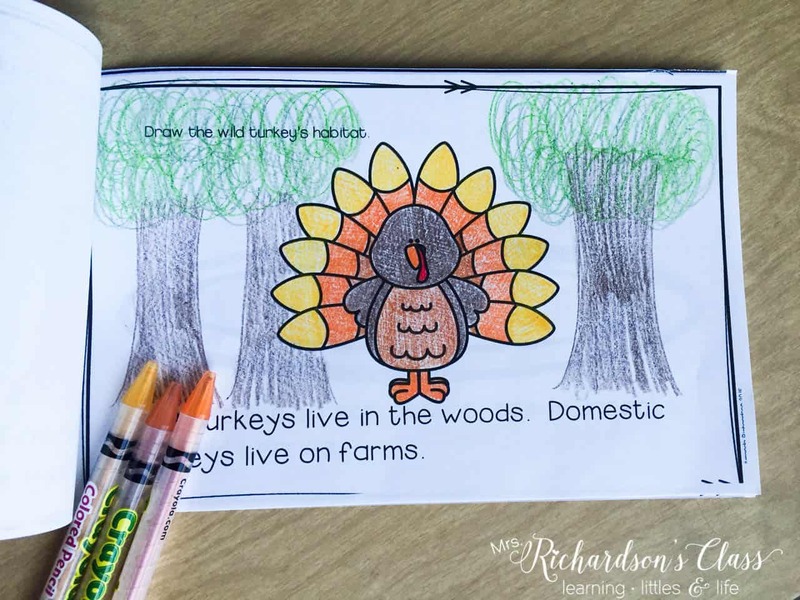 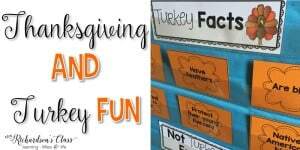 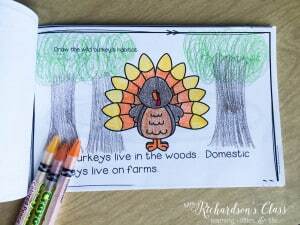 I wanted to share a few thanksgiving activities and turkey activities that you can do in your classroom as we are in the middle of November already! 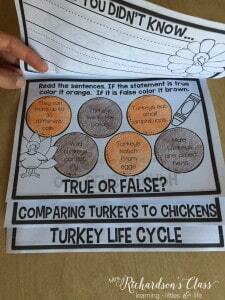 It’s a great time to integrate some science and reading with learning All About Turkeys. 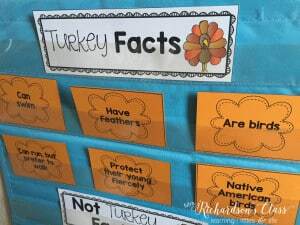 I always like to begin with reading some great non-fiction texts about turkeys and then doing some sorts. At the end of the unit, it’s great to create this little reader to put in book boxes or to take home over the Thanksgiving break for a little extra reading fun! 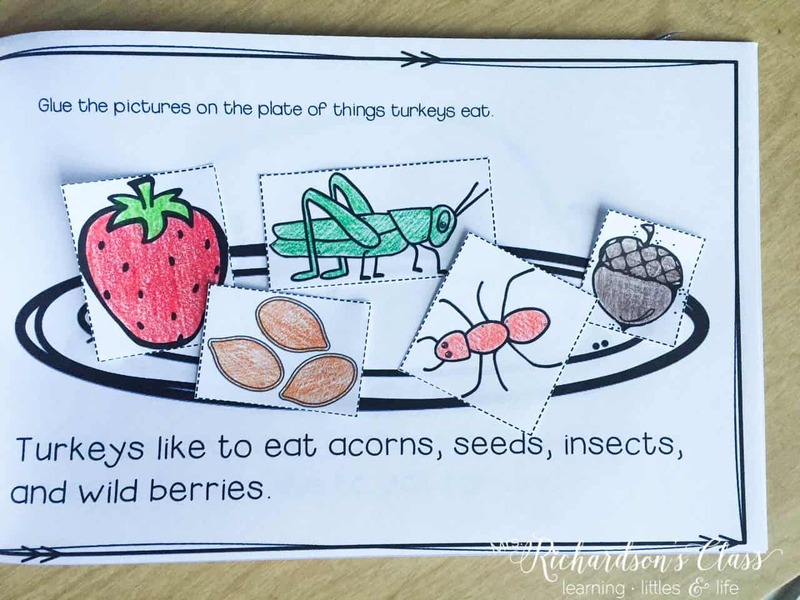 I always enjoy seeing what the students have learned at the end of the unit by having them write! 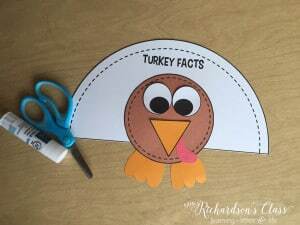 This turkey craft can be used as an assessment. 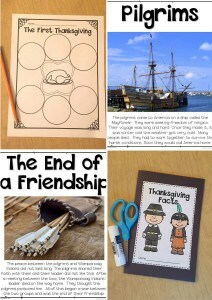 I also always like to integrate some Thanksgiving learning about the first Thanksgiving before our annual classroom feast. 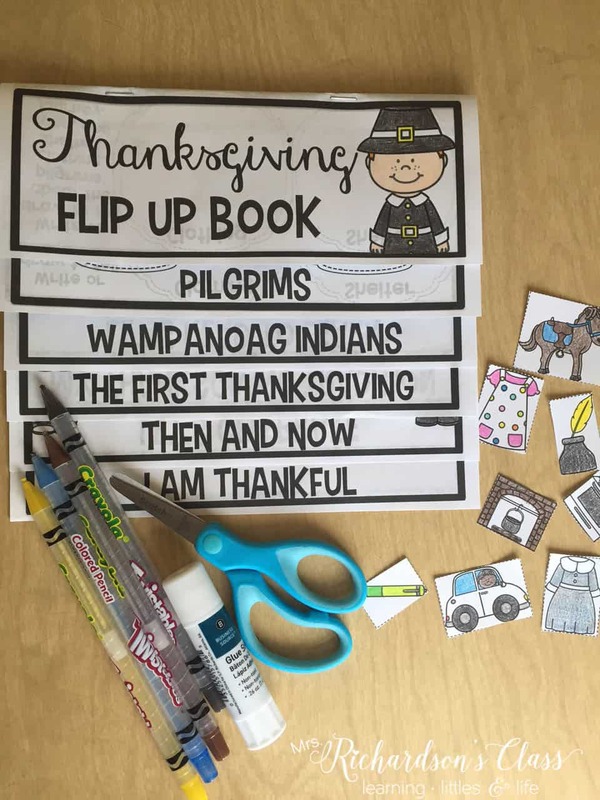 These flip up books are so much fun! 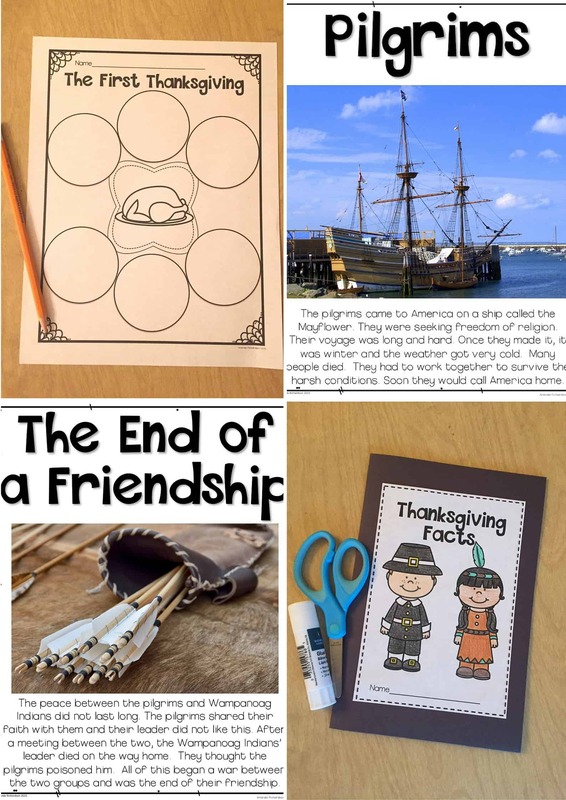 So many have said that their students are enjoying them AND they are able to do some meaningful teaching with them. That’s a win in my book for sure! 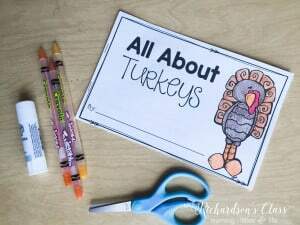 There is a Thanksgiving and Turkey one. 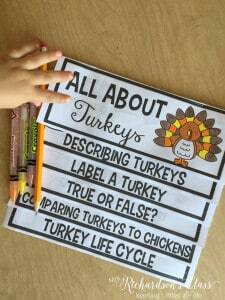 They also are a quick way to squeeze in the topics before the break if you are struggling to find time! Whatever it is that you are able to do with your students, it’s an important time of year to share with them how thankful you are for each of them being in your classroom! 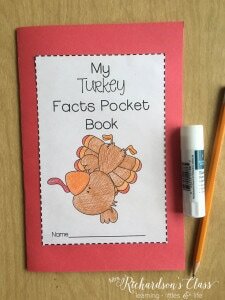 Be sure to hug them tight and let them know!! 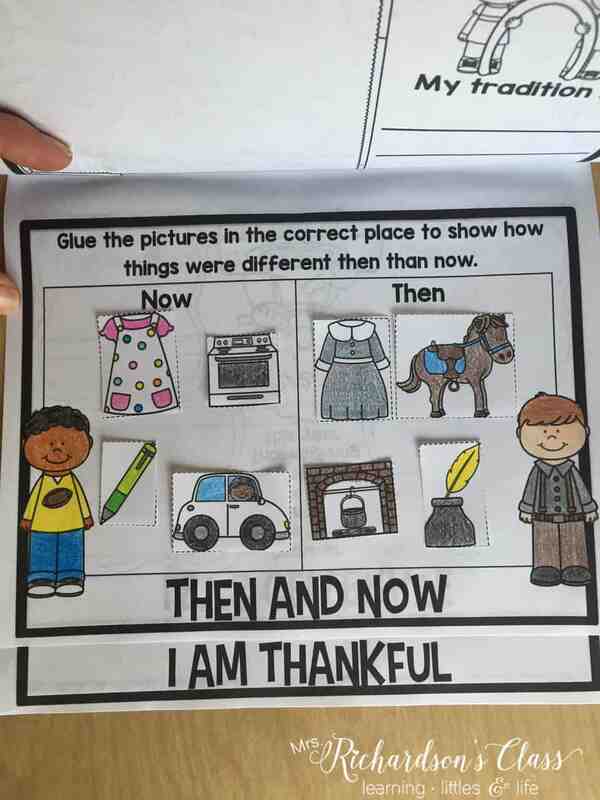 Enjoy your products! 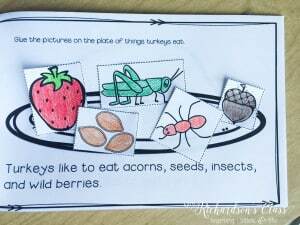 Look forward to getting some!